Australia's Hamilton Island Yacht Club, led by prolific yacht owner and Australian winemaker Bob Oatley, will be the next America's Cup Challenger of Record. Hamilton Island Yacht Club set forth the challenge for the cup, which was accepted by the Golden Gate Yacht Club – current Defender and Trustee of the America's Cup after Team Oracle USA, owned by Larry Ellison, won the 34th America's Cup in San Francisco last Wednesday. The Australian club has hosted the Audi Hamilton Island Race Week for the past three decades, welcoming more than 200 offshore yachts to competition. 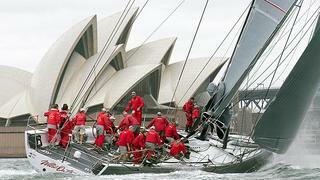 The Challenge was filed by Bob Oatley and his son, Sandy, on behalf of Hamilton Island Yacht Club. Oatley's super-maxi yacht Wild Oats XI has won the last six of eight Sydney to Hobart yacht races and is the reigning defender. This is the first Australian Challenge since 2000, when Syd Fischer put together a team that failed to go through to the Finals, but included Jimmy Spithill as skipper – now the winning Skipper on Oracle Team USA in this year's Cup. The Cup was last raced in Australia in 1987 – a battle which saw Kookaburra III defeated by Dennis Conner's Stars and Stripes in Fremantle.